• About 30 suburban and rural school districts have joined forces to call for a fix to Indiana’s school funding formula. • House and Senate supermajorities grew stronger with the November election, and the newest members are unwavering supporters of school choice. • Gov. Mike Pence wants lawmakers to remove the dollar limit on school vouchers, expand charter schools to more communities and raise the cap on private school tax credits. Unless taxpayers object, look for the governor and other school-choice supporters to score huge victories and for public school students – particularly those in Fort Wayne Community Schools – to lose big. 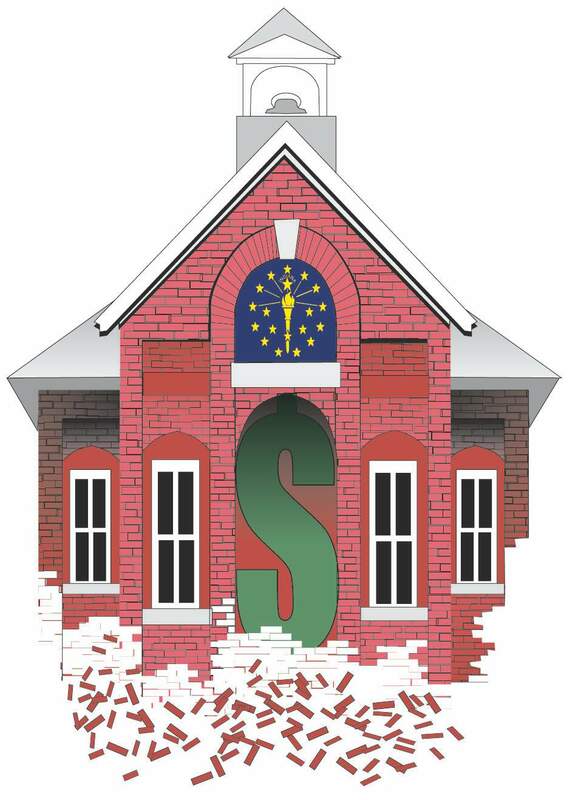 The Indiana Fix-it Coalition’s push for more money for suburban and rural school districts offers unintended but perfect cover to shift additional millions of dollars from public education. As public school districts battle among themselves for dollars, they’re less likely to notice the money quietly steered to voucher schools. Instead, supporters of public education should demand accountability from Indiana’s runaway school-choice program: There is no independent research to show that charter and voucher schools better serve students, with only a flawed school-grading program to serve as a measure of school quality. A nearly $4 million overpayment to voucher schools last month revealed no one’s minding the money sent to private schools, while a growing number of charter school scandals across the nation should be raising serious questions about Indiana charters. Focusing on the funding formula is a dangerous quest, given the legislature’s current make-up. House Speaker Brian Bosma appears too eager to change it. "We’re going to take a hard look at the disparities in urban, suburban and rural school funding and look for solutions," Bosma said on Organization Day. "Progress on money following the child has to be made." The problem with that is money following the child ignores the places those children come from. Rep. Greg Porter, D-Indianapolis, describes the formula change in the stark terms of taking money from a school district with less means and giving it to one with more means. "If they do what I think they’re trying to do, it’s like reverse Robin Hood," he told the Indianapolis Star. To his credit, Senate President Pro Tem David Long, R-Fort Wayne, acknowledges the challenges facing urban districts. "You look at Carmel versus (Indianapolis Public Schools) and there’s a lot of poor kids coming into the IPS. It’s more challenging to teach them," he said in a December interview with WIBC Radio. "They have a lot of social issues going on." As the General Assembly begins tinkering with the school formula – a task done mostly in private – taxpayers must pay attention. Election results suggest the Indiana Fix-It Coalition could find itself with a fix that has more state money following children to private schools. Insisting on more accountability for voucher schools is a better way to ensure there’s more money for all public schools.